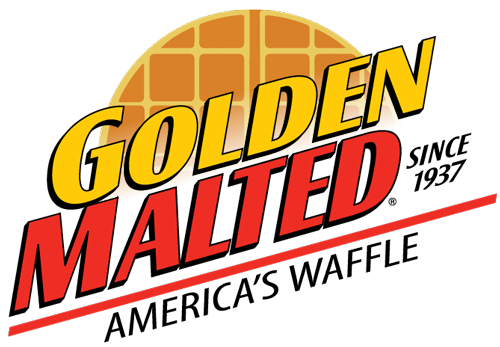 Now everyone can enjoy the classic taste of Golden Malted! We're proud to introduce our new Gluten Free Original Pancake & Waffle Mix. 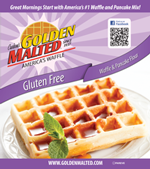 Since 1937, when we developed our patented recipe for Golden Malted Waffle & Pancake Mix, we've been creating delicious golden-brown waffles and light & fluffy pancakes. Our Gluten Free Original Pancake & Waffle Mix continues that tradition today with a taste and texture that still can't be beat! 3-Pack (3 x 2 lb. pouch) $11.32 per pouch - SAVE $2.00! 6-Pack (6 x 2 lb. pouch) $10.99 per pouch - SAVE $6.00! INGREDIENTS WHITE RICE FLOUR, DEGERMINATED YELLOW CORN FLOUR, SOY FLOUR, SUGAR, MONOCALCIUM PHOSPHATE, SODIUM BICARBONATE, SALT, CORNSTARCH, NATURAL VANILLA FLAVOR, XANTHAN GUM. OMG, I can't believe it. It is so easy. 1 cup mix to 1 cup water. Mix. That's it. No whipping egg whites in a separate bowl to fold in later. In fact, no eggs at all. No oil. Just mix and water. 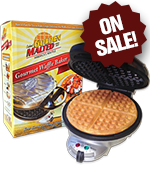 Easily scalable (1/2 cup each works great for a single waffle). And the waffles are fantastic. Admittedly, I have no idea what the original (non gluten-free) tastes like, as I hadn't heard of this brand before. And "malted" may be a bit of an exaggeration, versus "vanilla." 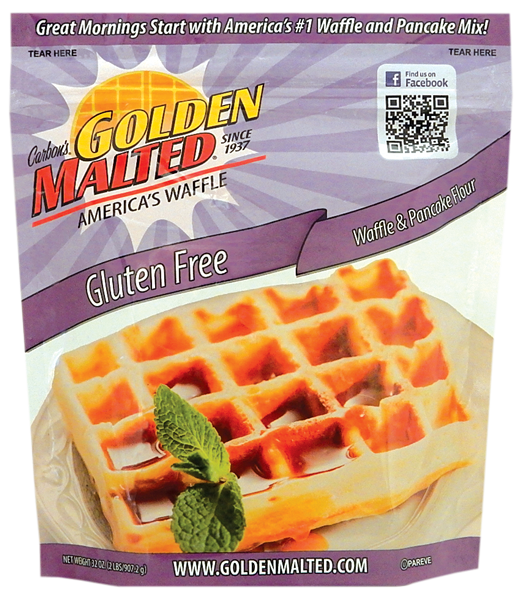 All I can do is compare it to all the other gluten-free waffle mixes I've tried over the last 20 years. I took a chance, and these taste great. They actually have a flavor, not just "rice," and even smell good cooking. Nice texture. Not grainy; smooth batter. The waffles even have "chew"! (and if you eat gluten-free, you'll know what I mean and really appreciate that!) So easy to make, and I can't stop making them. I've been known to make a single waffle to put some peanut butter on for a late night snack. Definitely going to reorder. Delicious, egg free waffle that is gluten free, to boot. These waffles will make better bread substitutes than any gluten free bread that I've tasted. So glad I tried this mix.